A drug discovered more than a decade ago at the University of New Mexico and New Mexico State University has new life, thanks to a recent discovery by scientists across the country at the University of Pennsylvania. These discoveries are being brought to market by a new start-up company, Linnaeus Therapeutics, that is off and running to get a possible new breakthrough treatment to cancer patients around the world. In 2005, Dr. Eric Prossnitz and his team at the University of New Mexico (UNM) and Dr. Jeffrey Arterburn at New Mexico State University (NMSU) characterized a new estrogen-binding receptor, named GPER (G protein-coupled estrogen receptor). Because estrogen acts on each of the three known estrogen receptors (estrogen receptors alpha and beta as well as GPER), the UNM/NMSU investigators sought to identify small molecules that could selectively activate or inhibit these individual receptors, especially GPER. In a collaboration between the virtual and high-throughput screening capabilities of the UNM Center for Molecular Discovery, and NMSU’s synthetic chemistry expertise, the team identified G-1, a small molecule that specifically activates GPER, without acting on the other estrogen receptors. Estrogen and its receptors regulate many physiological and pathological processes throughout the body and are present in almost every tissue of both women and men. Because GPER modulates responses to estrogen in many different cell types, GPER agonists and antagonists could potentially treat numerous diseases or conditions that might be influences by the receptor. In mouse models, G-1 has beneficial activities on multiple diseases including cancer, diabetes, obesity, and cardiovascular disease. In 2017, Dr. Todd Ridky and his team at the University of Pennsylvania’s Perelman School of Medicine determined that G-1 has potent activity against melanoma and discovered that G-1 dramatically increases the effectiveness of modern cancer immune therapy in treatment-resistant mouse cancer models. The study results demonstrated that the combined therapy dramatically extended survival and completely eliminated tumors in 50% of the mice used in the study. Dr. Ridky’s team, including lead author Chris Natale, has since shown exciting results in lung, colon and pancreatic cancers, and further studies are underway in other cancers. The findings, “Activation of G protein-coupled estrogen receptor signaling inhibits melanoma and improves response to immune checkpoint blockade,” were published in the journal eLife in January of 2018. Researchers have long associated higher levels of estrogen in women and women with prior pregnancies, with a protective effect against melanoma and better treatment outcomes. The Penn study showed that the protective effect likely resulted through the activation of GPER. Combining the GPER-selective agonist G-1 with anti-PD-1 decreased proliferation of melanoma cells by inhibiting the c-Myc protein, a driver of melanoma and other cancers, and made them more susceptible to elimination by the animals’ immune system. STC.UNM (STC), UNM’s technology-transfer and economic-development organization, has licensed the compounds to Albuquerque-based Sandia BioTech, Inc., a leading provider of innovative assay technologies. Sandia BioTech is the exclusive provider of the GPER-selective agonist G-1 and other GPER-selective compounds to research institutions for research purposes. “The discoveries made by the UNM and Penn researchers is very exciting. We are happy to contribute to the advancement of research involving GPERs and the potential treatment of cancer,” said Tony Pino, President of Sandia BioTech. Linnaeus Therapeutics is a development-stage biotechnology company engaged in the identification and development of differentiation-based, immunomodulatory small molecule agents for the treatment of numerous cancers. The company’s compounds also modulate melanocyte pigmentation. They can be used to increase or decrease pigmentation to correct genetic and acquired skin pigmentation conditions as well as aesthetically desirable skin darkening or lightening. Visit our website at www.linnaeustherapeutics.com. Sandia BioTech is a leading provider of innovative Assay Technologies, and a key player in the immunology revolution. Sandia BioTech is your partner in research. We offer OEM and partnership opportunities. Contact Sandia BioTech for more information on how to add our exclusive products to your catalog or how to partner with us to get your ideas to market. Customers throughout the world rely on our products. Visit our website at www.sandiabio.com. As the technology-transfer and economic-development organization for the University of New Mexico (UNM), STC.UNM (STC) protects and commercializes technologies developed at UNM by filing patents and copyrights and transferring them to the marketplace. We connect the business community (companies, entrepreneurs and investors) to these UNM technologies for licensing opportunities and the creation of start-up companies. STC’s vision is to play a vital role in New Mexico’s economic development and to be a leader in technology commercialization. 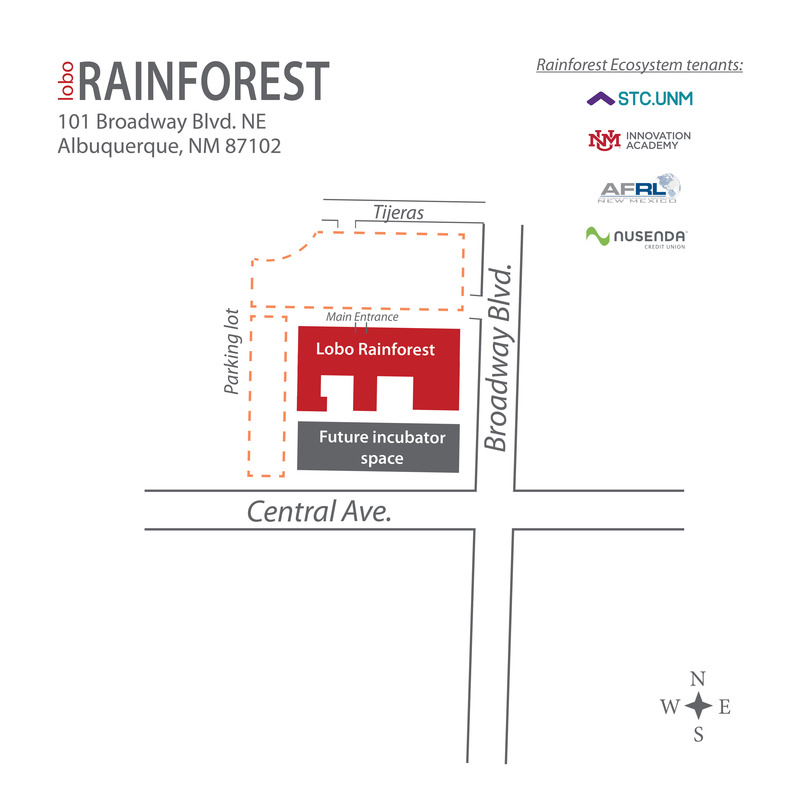 Under the leadership of CEO Lisa Kuuttila, STC is substantially growing its program using the Rainforest model to develop an innovation economy in New Mexico. Visit our website at www.stc.unm.edu.